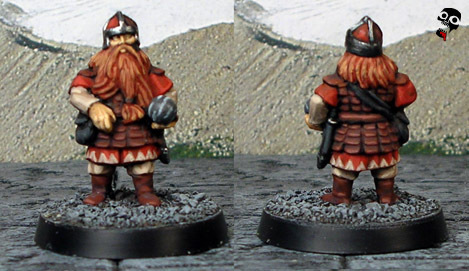 Here is the converted dwarf seige engine engineer. Converted from a plastic dwarf archer, I think it turned out pretty well... Although I am not so sure about that stone he's holding... but it looks good enough for me!